At the time of posting, this tee is on sale for 50% off and out of print, so once they’re gone….THEY’RE GONE! 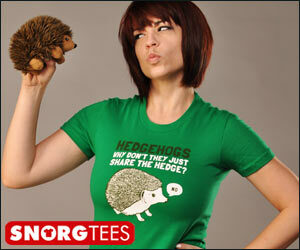 Nice wordplay accompanied by a beautifully ugly design, if that makes any sense. 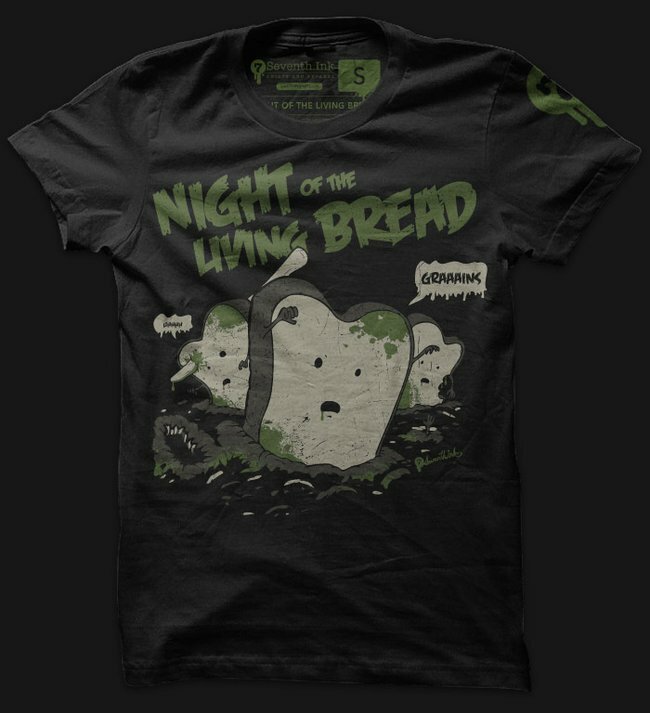 When you think of moldy, green bread rising from the underworld, you don’t often think eye-pleasing design, but this shirt pulls it off. Plus, let’s not forget that one of the slices of bread says, as it rises out of the ground on the Night of the Living Bread, “graaains.” You know like wordplay on braaains. That’s clever stuff. I have to say those pieces of bread also have very cute little arms.